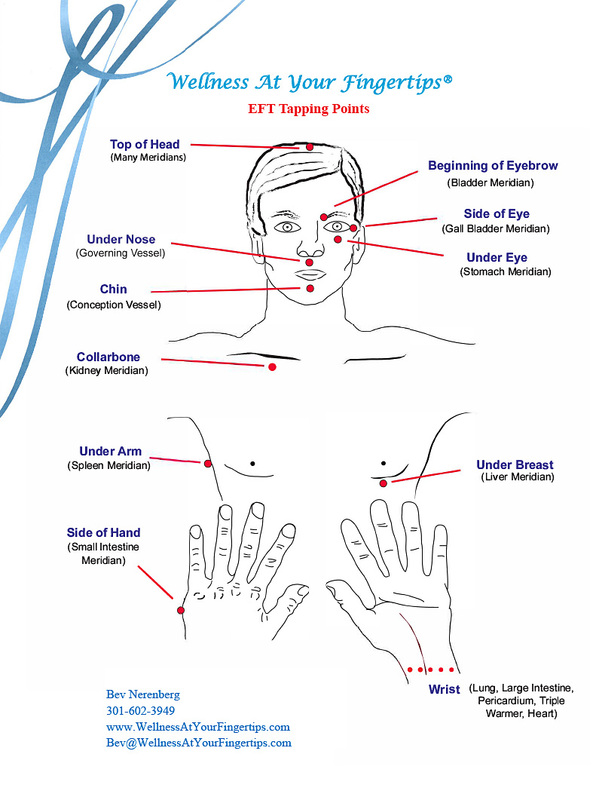 Tap or rub on either side of the body with either hand. You can also use both hands on both sides. Rate your issue, on a scale of 0 – 10, with 10 being the most intense. Rate your issue again. If you still have the “issue”, start with “even though I STILL have this headache, pain, etc.”, then tap through the sequence again using the “reminder phrase”. No need to tap the Side of the Hand point while doing this 2nd round of tapping. Continue tapping until issue intensity substantially decreases.